There are lots of cool things to see and do at Volcano Bay, Universal Orlando Resort’s brand new water theme park. 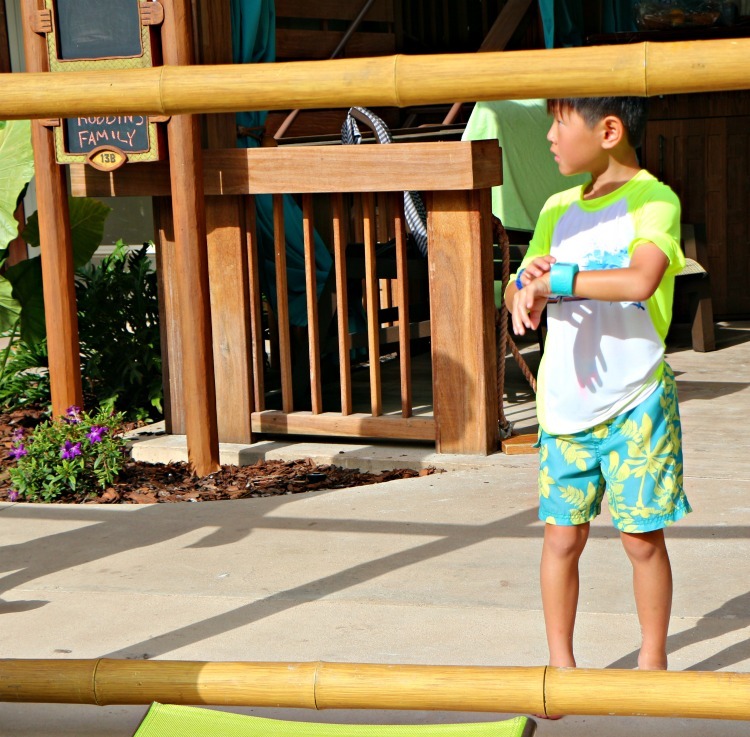 Go With the Flow TravelingMom Jill and her family recently visited Volcano Bay and reports the Tapu Tapu wearable wristbands are at the top of her list of things that make this destination awesome. Volcano Bay opened At Universal Studios, Orlando Florida in May 2017 and it’s a hot ticket. There are so many things to see and do at Universal’s Volcano Bay but you know what you won’t see? Lines. The park can fill to capacity shortly after opening but the virtual line system allowed us to enjoy other attractions while we “wait in line.” We spent a day at Volcano Bay water park in August and we played in the park literally from sunup to sundown. The ease of the Tapu Tapu wristband was hands down the reason we enjoyed our visit so much. 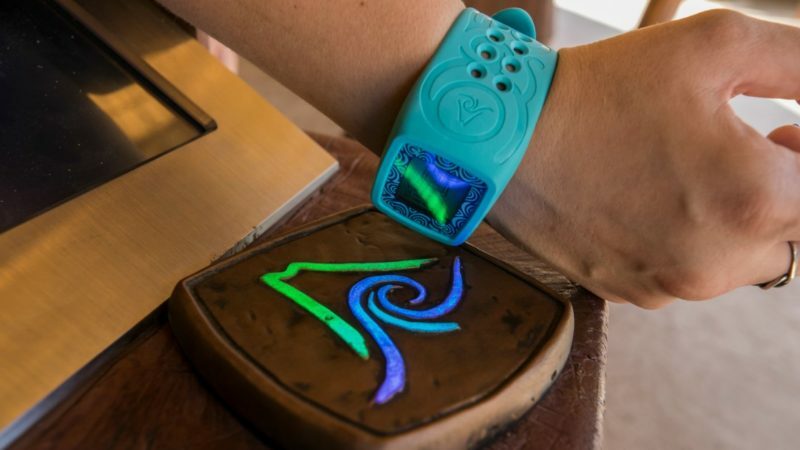 The Tapu Tapu wristband is genius and I’m here to tell you about all of the awesome things it can do to make your visit ROCK. I’d expected some kinks in the Tapu Tapu system because it’s a new park and new technology, but it worked seamlessly. Easy peasy. You have one hour from the time you’re notified to check in at the ride. Once you check in, be prepared to wait in another line, although your wait will be short. We visited on a busy August Friday and the most we ever waited in a physical line was about 25 minutes. The virtual wait for the Krakatau Aqua Coaster, however, was up to 200 minutes at peak. Yikes! You can enjoy the pools, the Kopiko Wai Winding River (lazy river), the TeAwa the Fearless River, or the wave pool while waiting in your virtual line. You can also ride any ride with a posted “ride now.” You cannot be in more than one virtual line. Change your mind? No problem. Just use your Tapu Tapu to get out of one line and join another. A locker is a necessity in a water park. You don’t want to worry about valuables while zipping down a waterslide. Besides, wet money is yucky. 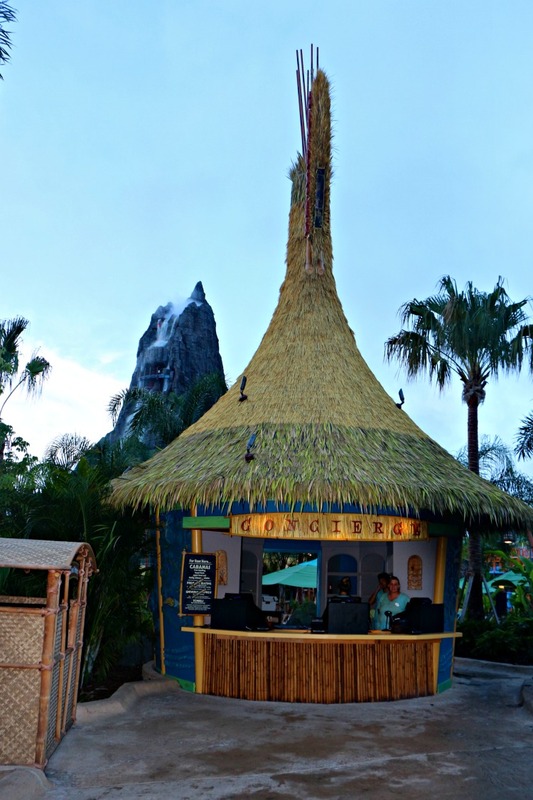 You can rent a locker at one of Volcano Bay’s concierge huts. Once you do that, you can open and close your locker using your Tapu Tapu. No remembering a combination or keeping track of a key…just tap to open your locker. If you book premium seating or a cabana, a place to store your valuables is included in the fee. Volcano Bay has some serious yumminess going on. 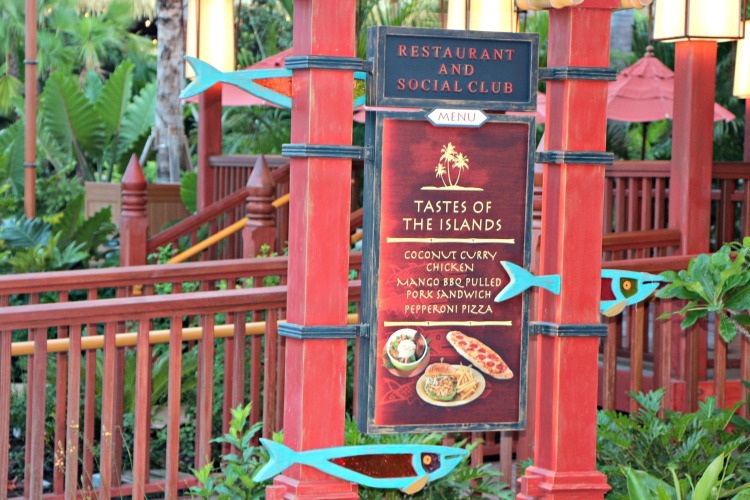 There are six different dining locations to satisfy the appetite you will work up with all that splashing and sliding. You can use Tapu Tapu to buy food and drinks throughout the park. Just download the Universal Orlando App before your visit and connect your credit card. You can customize charging privileges to allow only the members of your party you designate to charge. If you’re worried about your kids going crazy with drinks and snacks, this is a great option. By the way, Volcano Bay has fabulous cocktails, if you feel like indulging. Taptu Pay is easy to set up. I loved not having to worry about keeping track of my wallet. There was no worrying about a plastic baggie with my money in it floating down the lazy river without me. Yes, that actually happened to me once, although not at Volcano Bay! You can use Tapu Tapu Pay to purchase unique and fun Volcano Bay souvenir items. 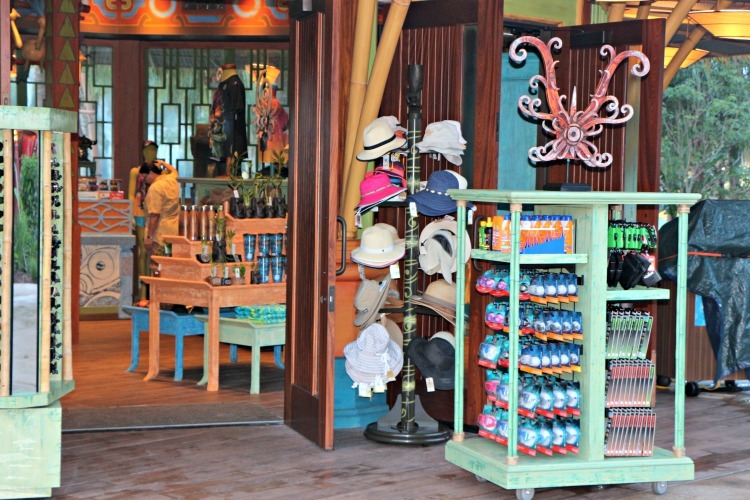 You can visit one of the shops or check out the kiosks while waiting in your virtual line. Maybe you’ll find the perfect a tee shirt or other fun item that you can’t live without. With Tapu Tapu Pay, you can buy on the spot without trekking to your locker to retrieve your stash of cash. Super convenient. There are fun, interactive selfie spots throughout Volcano Bay that allow you to capture your fun moment and share it. Your Tapu Tapu automatically links your photos to your account. You can view, purchase, and share your photos at your convenience. This is a great feature for those who want to capture their experience without having to carry your phone/camera around and worry about it getting wet. With Tapu Tapu Play, you can experience some really cool stuff, such as interactive effects and surprises. You might find hidden images on the wall of the volcano’s cave or the opportunity to shoot water cannons at unsuspecting guests. If you see the Tapu Tapu symbol anywhere in the park, tap and see what happens. Your kids will have a blast with this! I recommend checking out Tapu Tapu Play while you’re waiting in a virtual line or if you need a break from the water, although a couple are in the water. No spoilers! You’ll have to make your own fun finding them! 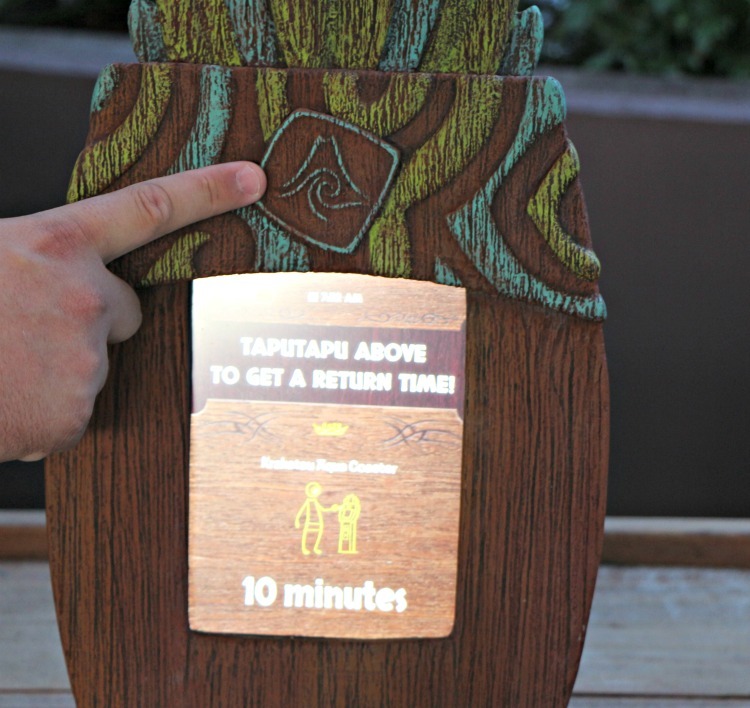 If you lose your Tapu Tapu, go to one of the concierge huts and present your volcano bay ticket. Ask me how I know this! Based on the reaction we got when we requested a replacement wearable for my son, Zack, lost Tapu Tapus are a common occurrence. The technology and ease of Tapu Tapu really take your waterpark experience to the next level. 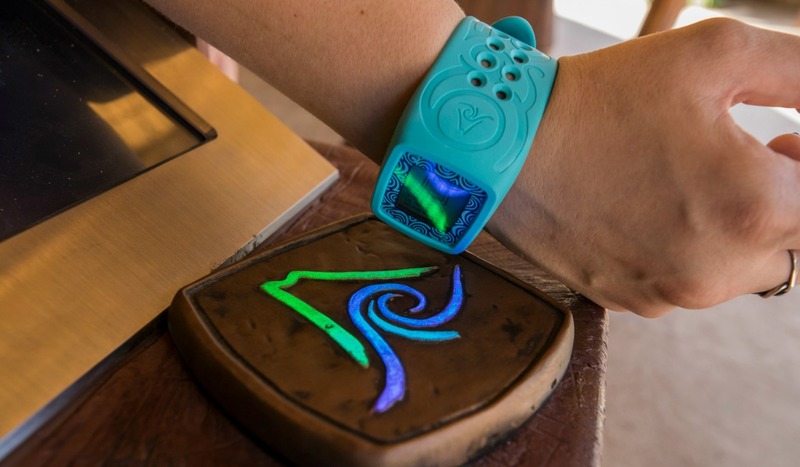 It’s simple and easy to use but spending a few minutes before your visit learning the basics of how this wearable works will take your Volcano Bay to the level of vacation awesome.